All great things come to an end, but I prefer to think sometimes they just change direction. I want to thank all of you who have come to this blog seeking information on the current state of independent film marketing and distribution for the last 5 years. I hope that I have given you knowledge, courage, and inspiration to continue with your artistic endeavors so that you will be better prepared to form relationships with your audience and ask for their direct support of your work without being overly dependent on someone else to step in, take ownership rights and treat you fairly. Some of these entities do exist, but they are increasingly few. I have taken on a new role at KCETLink, the nation’s largest independent TV station and an online digital network, that I hope will lead to expanding my own knowledge in this transitional time in entertainment. I will be working with a bigger team, a few more resources and covering a wider palette of interests from arts and culture to politics to food and centered on the Southern California lifestyle. I am particularly excited to work in episodic online digital content and online publishing as I believe these are the forms that audiences will increasingly watch and support. I am still planning to keep this URL and this blog, though the site is in sore need of a redesign! I will also rebrand myself to speak more about marketing technique and technology, artistic entrepreneurship and what is happening in the digital entertainment industry. Hopefully you will want to read my thoughts about this too. Stay tuned for that change in direction. You can still find me online: Twitter, Facebook (though that page will be renamed soon), Linkedin and Google Plus. It has been a great pleasure to research and write for you; teach for you in person; and attend independent film events all over the world. Last week, I happened across a story online about a new VOD service starting up with an interestingly niche twist. The service is called Brooklyn On Demand. Below is an interview with Joseph Shahadi, Executive Director of The Art of Brooklyn Film Festival, who has co created the service. What is Brooklyn On Demand? 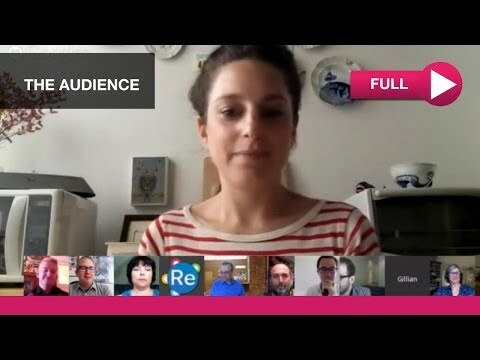 What inspired you to start a VOD site for Brooklyn based artists/audiences? What is Art of Brooklyn Film Festival and how is this tied in to AoBFF? What are the rules about how “Brooklyn” the film needs to be? You say on your site “Brooklyn-born, Brooklyn-based and Brooklyn-centric” filmmakers. What does that mean? -Brooklyn is a key inspiration in the creation of your film. How is the revenue split? You use Vimeo on Demand so they take 10%, then how is it split? I assume the filmmaker must have the rights to distribute via Vimeo globally? Just so I am clear this isn’t a subscription service, it is transactional? What is the plan for letting audiences know about the platform? Are you specifically targeting Brooklyn dwellers or globally? “We are definitely reaching for a global audience. We have already gotten press on BKOD from USA Today and the NY Daily News for our launch. We will continue to promote the platform to national and international press and showcase BKOD films and filmmakers on our blog and social media networks. Is there curation by your staff or will any film be uploaded? Features, docs and shorts? How do you submit a film? How much does it cost? 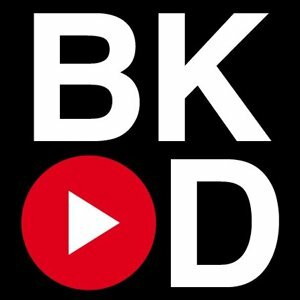 “Filmmakers should use the submissions tab on the Art of Brooklyn site or directly at BrooklynOnDemand.com. Please note that early bird submissions are open for the 2015 AoBFF starting October 1st, so anyone with a film that fits our criteria should send it our way and we will also consider it for BKOD for no additional fee. Joseph Shahadi (Executive Director) has had a long nonprofit career, notably at the W.T. Grant Foundation, The Green Circle Program and the World Game Institute. Most recently he was Festival Coordinator for the DUMBO Dance Festival, where he curated and produced its first ever site-specific works, staged along the Brooklyn waterfront. Joseph also served on the DUMBO Dance Festival Board of Directors. He earned a Ph.D. in Performance Studies from New York University where he was awarded the Corrigan Doctoral Fellowship and the Performance Studies Award. He contributed a chapter to the book Doomed By Hope: Essays on the Theatre and his scholarship appears in TDR (The Drama Review), the Journal of Dramatic Theory and Criticism—in a special section he also co-edited—and the Journal of the Hemispheric Institute of Performance and Politics. Joseph is also a Brooklyn-based interdisciplinary artist, director and dramaturg. He makes video, photographs, installations, live art and works on paper. His work appears in several private collections and has been exhibited in New York, regionally in the United States and internationally in Europe. This is a very important distinction and I have been trying to find a better way of articulating to filmmakers why the story of a film is NOT the same thing as its marketability. I FINALLY found this explanation that I think might get through. I found this from Michael D. Sellars who in turn learned it from his mentor, Lenny Shapiro of Avco Embassy Pictures. The idea isn’t new, but ideas that spread win so I am helping to spread. From now on, I will include this information in my own consultations and workshops because it is so clear and succinct. Filmmakers and film schools put A LOT of emphasis on playability, and not nearly enough on marketability. The ability of a film to attract an audience. This is one of the main things an industry executive is looking for when you pitch your film. Filmmakers all think this means their story. That’s NOT what execs are looking for. The story is your idea and it does have some merit, but what turns in their mind is “How can I sell this to an audience to get them to come to the theater on opening weekend or buy it on VOD/DVD?” It isn’t the story that will do this. That comes later. This means that if you are making a low budget drama, with no notable names attached to it including the director and the producer, that is an original script not based on a best selling book adaptation, and it doesn’t get selected for major festivals and therefore isn’t going to have many critical reviews…this is going to be a problem. How are you going to get anyone to pay attention to it? What will you hook the audience with BEFORE they actually sit down to see the film and know the story? These are questions that need answers, ideally in the script stage. If you are trying to make one of these films and you don’t have marketability at the beginning (best selling source material, notable names), you MUST get it for the premiere. That’s pretty risky don’t you think? Most acquisitions execs would think so and the strongest ones would decline. If you are planning to self finance your distribution, you should think about this too. What’s the marketing strategy for a no budget, no name drama, with no major festival accolades and no favorable critical reviews? Ummm…. This takes place once the audience has made the decision to sit down and watch the film. If it is an executive or a festival programmer, you probably hooked them with something to make them take time out of their schedule to do this. The something could be notable names or it could be a favor or somehow piqued their interest. This is a very small group of people to reach. If it is an audience, it means that your marketing strategy worked with respect to reaching and enticing them. What is their experience once they sit down and watch the movie. How well does the movie “play”? Will it generate favorable word of mouth? Will it catch the fancy of reviewers? To get that festival slot you desperately need for your no name, no budget drama to be marketable, it all comes down to playability. And if you don’t secure that and you hoped that great word of mouth will just spread, the movie had better “play” for someone. For indies, the way it “plays” can be subjective. If your documentary about environmental protection attracts people actively involved in the environmental movement, it can play in their world much better than it would outside of that world. In fact, a film like this also has marketability because there is a core audience to target with it. Genre films also fall into this situation. They are less name dependent, but they had better play to that audience. But if your film is intended to reach a mass audience, a diverse audience, or cross over from niche to mass and you can somehow attract a crowd to watch it (say you threw some serious coin into advertising, publicity and booking theaters), if it doesn’t deliver on their expectations, you have a playability issue and more marketing isn’t going to fix that. Here’s a little more from Sellars regarding how studios deal with marketability. Studios are often confronted with a movie which they know is “marketable” — they know that it will attract a great first weekend audience. But they also may know that the reviewers will clobber the film, and filmgoers will be disappointed. Even so — such a film can be financially successful if the “marketability” is good and the marketing campaign is carefully designed and executed… A great marketing campaign — a strong opening weekend — damn the dropoff and get on to the DVD — it can still work. By contrast, a good film that delivers good “playabilit,y” but doesn’t have marketable elements is a problem. How do you get the warm bodies in theater seats to begin with? This is the true challenge to most good indie films. 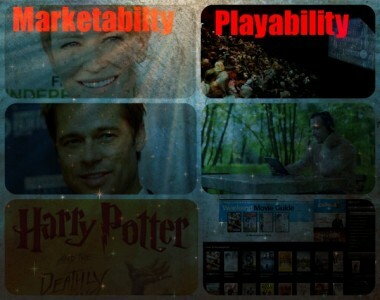 So you need both aspects, marketability and playability. With indie films, one can’t succeed without the other. Marketability you can start creating in the development stage. Playability has to be achieved in the production and post production stage. For the film to be successful, you must have both. I’ve just completed a series with my colleagues over on The Film Collaborative blog dedicated to helping you prepare for distribution of your film. The series was inspired by the many questions we’ve answered over the years in consultations with our members and with independent filmmakers at industry events like Sheffield DocFest, Independent Film Week and SXSW. Distribution is probably one of the most misunderstood processes in filmmaking. Plenty of schools prepare students for the intricacies of making the film, but leave off the part about connecting that work to an audience. It is a shame because creation is only one part of successful art. The other part is sharing it with people. In Part 1, we talk about knowing the market for your work. Obviously, distribution falls into the business end of filmmaking and even though artists would like to think that whatever they create will automatically resonate in the market, it isn’t a bad idea to check beforehand. Part 2 covers the role film festivals play in generating awareness for films, but also in generating revenue. Did you know festival revenue is one of the biggest sources of income for many of the films handled by The Film Collaborative? It’s true! But, the film needs to meet certain criteria in order to see this income stream. Read the post to find out what the criteria is. Part 3 combines several topics. First, do you know the difference between a distributor and an aggregator? How about a platform and an application? Do you know the release sequence used in independent films? 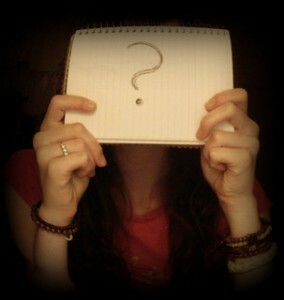 Does that matter any more? What about your chances for foreign distribution? We covered it all in this post. Part 4 dives into deliverables. This addendum to most distribution contracts often comes as a nasty financial shock to producers. What will a sales agent or a distributor ask for? Isn’t digital distribution more affordable because there aren’t so many delivery items? We talk about what a typical digital distributor will need in order to put your film out on digital platforms. Part 5 wraps up the series by talking about the financial realities of independent filmmaking. For the most part, it is about lots of little revenue streams (we’re talking hundreds of dollars from tens of outlets instead of hundreds of thousands from only a few). Joe Swanberg comments that artistic freedom comes from knowing the business side of your work. Creating with confidence is a whole lot better than creating with ignorance and subsequent anxiety. I will be giving the keynote speech at the upcoming RoughCut New Zealand event on September 4, 2014. Preceding my speech, I will spend the day in consultations with local film producers about how to set a marketing strategy and reach the audience for their films. This is especially crucial if you plan to crowdfund and/or self distribute your film. If you would like to attend either of these events, please see the Tropfest NZ site. I am so excited about my first trip to New Zealand! [info at shericandler.com] to arrange the opportunity. There are so many ways that Hollywood could be reinvented to better adapt to the 21st Century. 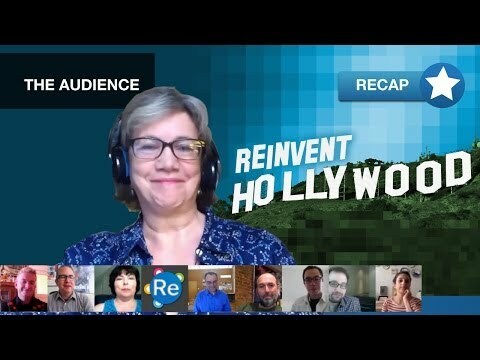 I recently joined Reinventors Network and Fandor in a virtual roundtable exploring the role of The Audience in the film business and how independent creators are using the tools of the internet to circumvent traditional avenues in funding, distribution and promotion not only to reach The Audience, but invite them in to the creation process. Does this mean The Audience is now in control? In some ways, yes, but storytelling is a talent most people do not possess, that is why your skills are still very much needed. But you are no longer creating in a vacuum and the sooner you can make peace with that, the better off your career will be. The session included a smart crew of participants and some insightful ideas were put forward. Check out the short video of highlights from the roundtable.